You have seen his work at the Rooftop Gallery and in VisArts, now learn from Ryan Rakhshan just how to throw large composite forms. The specific techniques of throwing rings, coils and sections will all be discussed and demonstrated. 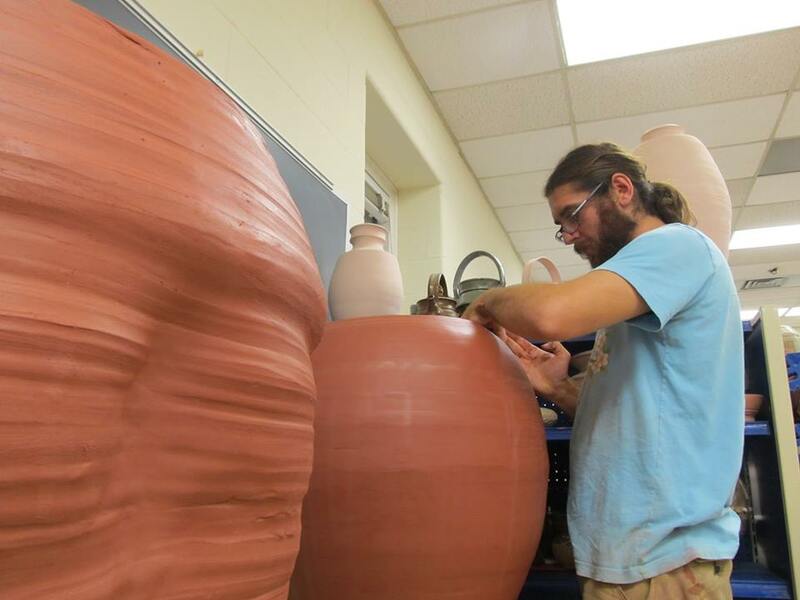 In addition students will learn proper drying, firing and glazing techniques for large forms. Please come to the class expecting to learn a new skill. Focus should not be on the finished product but on the techniques and skills that can be carried forward as part of an ongoing ceramic practice. This class is for students with ability to throw an 8″ bowl. Tuition includes bisque firing of one large piece. Due to the large size and slow drying time of these pieces, please expect up to a month for bisque fire. Clay is not included and can be bought at time of class. There will be an hour break for lunch each day.